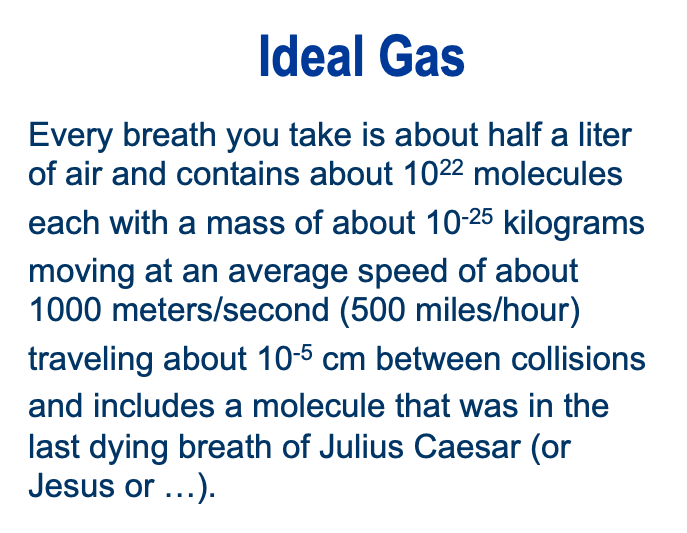 Deric's MindBlog: Factoids about an ideal gas. I pass on this neat slide from a lecture by physics professor Clint Sprott ("Ergodicity in Chaotic Oscillators") given to the Nov. 20 session of the Chaos and Complex Systems Seminar at Univ. of Wisc. Madison.